Extension lead, orange, 20m long, 10amp, illuminated sockets, test and tagged. Extension cord suitable for vacuums, back packs, and small tools. Complete hose assembly for Ghibli backpack T1, has push into the lid fitting and pistol grip. Suits both the T1 and the T1V2 Ghibli backpack. 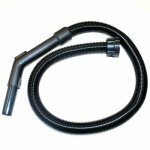 Complete hose for PacVac SuperPro 700 with screw on fitting and pistol grip. 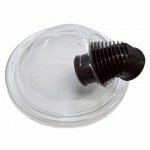 Plastic see through PacVac SuperPro dome lid with screw on fitting for the PacVac hose.